Water leaks can cause a massive amount of damage to your home in just a short time. A leak can mean replacing walls, floors, paint, furniture, and more. 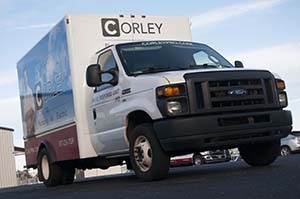 Call us at Corley at the first sign of a water leak. We’ll send out a team of experienced plumbers to find your leak and get it fixed fast. Some water leaks look like massive amounts of water spraying everywhere. These are usually easy to find. However, many leaks are much slower. They may drip, drip, drip until you have a major problem that you didn’t know about. That’s where water leak detection in Greer, SC can help you out. Not sure if you have a leak or if it’s worth calling in water leak detection in Greer SC? Here are some signs that you have a leak and you need to find it fast. Your water bill keeps going up. Unless you’re actively using more water every month, this often means there’s a leak somewhere in your system. You see signs of dried water and you’re not sure why. If you see dried watermarks or find patches of carpet that seem still, like they just dried, call us. You may have an intermittent leak that still needs repair. You hear running water when you shouldn’t. If there’s no water turned on anywhere on your property, you shouldn’t hear it running. When you do, there’s a good chance you have a leak. Contact us to schedule your appointment for water leak detection in Greer, SC today. We will send someone out soon and get your leak fixed soon, so you won’t have to worry about damage to your home anymore.